Hot air brushes are a really great invention. In theory, they combine several products into one, saving you time (and money) and leaving you with salon-esque styled hair. There are a lot of air brushes out there by different manufacturers and not all are created equal. In fact, some are not even functional. The ones that work well are very versatile and provide many styling options. They can be used daily or less frequently for special occasions or when time permits. Overall, we encountered some great hot air brushes through our research but the number available is mind-boggling! We have narrowed the field down to three hot air brushes we deem worth considering. In this review, we reveal the overall best hot air brush, the best hot air brush for the money, and the best hot air brush on a budget. To style and dry hair as an hair dryer-With 1.5" titanium ceramic-coated barrel-Designed with advanced ionic technology for frizz-free-Gives gorgeous volume and shine to your hair-100%Thrilled Customer Guarantee! This is considered by us the best hot air brush on the market! The John Frieda Premium Hot Air Brush is our #1 pick because it really gives hair a salon-finished look. It minimizes frizz, enhances shine and never tangles. Plus the John Frieda brand means you are purchasing a quality product. In fact, it is backed with a 5-year warranty so you really can’t go wrong. We also love that, while it comes with a 1.5” brush, it’s also possible to get an additional 2” brush for it. This makes it well-suited for hair of different lengths and thicknesses, and makes it more versatile when styling hair. That said, its one shortcoming is that the brush does not have an auto-rotate feature. 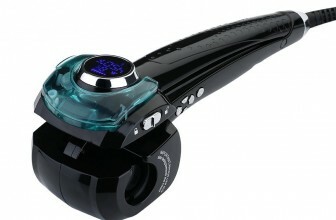 We really love the Infiniti Pro Hot Air Spin Styler. It is a great hot air brush for the money and we recommend it without hesitation. It makes hair smooth and sleek and provides lots of body when styling. Our favorite feature in the Infiniti Pro is that the brush barrel rotates automatically with the push of a button. It does so easily and smoothly, making the brush a snap to use. The handle is a bit unwieldy but because the barrel rotates for you, your wrist doesn’t get tired. We only wish this brush was packed with a bit more wattage. Your best bet is to dry your hair partially first or you’ll spend a long time doing so with the Infiniti Pro. The Helen of Troy is a great hot air brush for those on a budget and feels more manageable size-wise than the previous two hot air brushes outlined. That said, it might not be suited to all hair types. For example, it won’t work well for those with long or thick hair because, at 250 watts, it’s not powerful enough to dry hair of even moderate thickness or to leave a mark style-wise. On the other hand, it works very well for short and/or fine hair, or bangs. Another consideration is that its bristles are plastic. If this is your preference, then this could be the hot air brush for you but if not, this feature may be a deal-breaker. Another weakness of this budget product is that some users encountered quality issues. Sometimes the brush just quit working or stopped heating entirely. As such, knowing the retailer’s return policy is important. A hot air brush is a great device that combines the functions of several other tools into one. The idea behind it is that it dries and styles your hair at the same time. If you blow dry your hair and also use a curling iron or hot rollers, a hot air brush could be perfect for you. Because the hot air is blown through a wide brush, volume and bounce is added to your hair as you use it. Further, some hot air brushes are made of materials that are ideal to prevent frizz, as well as add shine and body. With the right hot air brush, your hair can look like it was washed and styled in a salon. As such, a hot air brush is ideal for anybody who wants to save time and money by combining products into one, or for anybody who wants to mimic the look and feel they get after visiting a salon or hairdresser. Some people swear by them and would never turn back. There are a lot of hot air brushes on the market so we have narrowed the search for you. The following guide represents a great starting point as you begin to shop for yours. There are several key things you want to consider when in the market for a hot air brush. The following elements will set you off on the right foot. Consider what the bristles are made of – hard plastic, nylon or metal for example. This choice will likely be very preference-based. Also consider what the barrel of the brush is made of. Some materials withstand heat better and are therefore gentler on hair. Consider if the hot air brush has enough power to actually dry your hair or whether it is better suited as a styling tool. 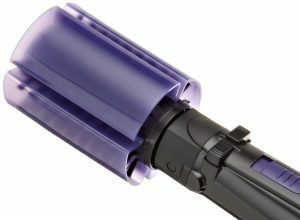 When thinking about wattage, consider that many hair dryers come in at over 1500 watts. The width of the barrel of the brush should be well-suited to your hair length and type and your styling preferences. 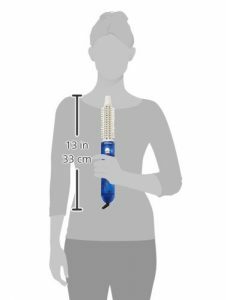 The handle of the hot air brush should be comfortable to grip and hold. Consider the brand of the hot air brush. Some brands are known for higher quality products than others. 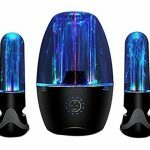 Also factor in whether or not the product is backed by a warranty and whether or not it is made of quality material that will withstand daily your expected frequency of use. It’s important to think about extra features you may want in your hot air brush such as automatic rotation, an extra long cord, multiple brush widths, or an auto shut off mechanism. We consider the John Frieda Premium Hot Air Brush to be the best overall hot air brush. 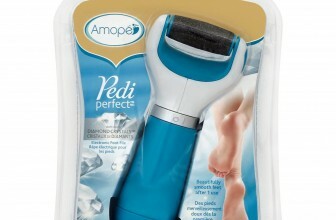 It feels like a salon quality product and includes some very nice features. It is also quite affordable at the $60 mark and is worth every penny. Quality will not be an issue with this hot air brush. We love that this brush is equipped with ‘ion technology’ that assists in providing a salon-like finish to your hair, preventing frizziness and enhancing shine without damaging hair. It also provides two heat settings and one cool setting. At 500 watts of power, it is higher powered than other competitive products. The barrel of the brush itself is made from a mixture of titanium and ceramic, which enables the brush to use more heat than products made from other materials. This means it can style your hair using higher heat without damaging it. 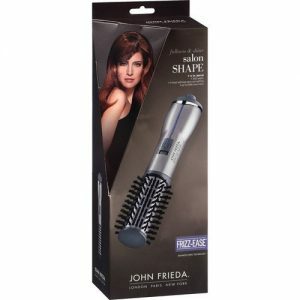 A terrific attribute that you won’t find in the other products reviewed is that it is possible to get an additional 2” brush to fit the John Frieda. Plus it comes equipped with a 1.5” brush. This is a great feature to accommodate different hair types and even different styling desires for the same person. The brushes can also be cared for in the protective cover provided. The barrel itself does not spin but the cord does rotate to prevent cord tangles. The handle is designed nicely so it doesn’t feel cumbersome to hold. It is definitely more comfortable to use than the Infiniti Pro. Overall, this brush is just really nice to use. The bristles flow through the hair easily and don’t tangle. The design is sleek and smooth and the quality is spot on. We appreciate that John Frieda backs it with a 5-year warranty so you can feel comfortable in your investment. We really wish the barrel of this brush rotated automatically. It feels like a miss in a top quality hot air brush. We also found that this brush works best if you dry your hair at least partially first. As mentioned, it is equipped with 500 watts of power, but it would be nice if it had a little more drying power. Other criticisms are quite minor. For example, the button for the heat settings is a bit awkward. Further, why not make an even smaller barrel available so that folks with short hair could use the brush more comfortably. Brush barrel doesn’t rotate automatically. 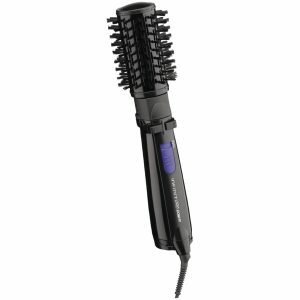 We consider the Infiniti Pro Hot Air Spin Styler to be the best hot air brush for the money. It does very well on all of the key features. Further, it is very reasonably priced at the $45 mark and is definitely worth the investment. Unlike the John Frieda, it comes equipped with an awesome spinning feature, which means you don’t have to rotate your wrist as you dry your hair. I have had this brush for over 5 years, and highly recommend it. This brush has many strengths. It is well-powered for an air brush at 500 watts and includes three temperature settings – two heat and one cool. The handle is wide but it’s relatively easy to grip. The brush also has ‘ion technology’ which means you can dry and smooth your hair without damaging it. You can’t see the ion technology working, but its performance substantiates this claim. Further, the bristles are tangle-free and move through your hair very easily. I have never experienced a tangle with this brush. The best part of this brush is its spinning feature. There are two buttons on the handle that control spin. Push one to spin in one direction and the other to spin in the reverse. You have to hold the button down to maintain the spin but this can be done very easily. This feature means you don’t have to rotate the brush while you dry/style as the automation does it for you. It is VERY handy and makes adding volume to hair very easy. The first time I activated the spin, I was a little alarmed. The associated ‘whirring’ noise reminded me of the sound of a paper shredder or electric pencil sharpener. I felt like I was going to get a buzz cut. Of course this didn’t happen and I quickly got used to the sound and embraced its effectiveness. You can also remove the filter in this hot air brush to extract lint, which should extend the life of the air brush. Conair also backs this product with a three-year warranty. Some users complain that the brush bristles wear out but this hasn’t been my experience. One complaint we will ag ree with is that the handle is very wide. It gets a bit awkward if you are using it for a long time. We also wish the cord was longer. It comes in around 5 feet but it would be nice if we had at least another foot. Even though this hot air brush is higher powered than some competitive products, it still takes a long time to dry hair. Many hair dryers are powered with over 1500 watts. By comparison, 500 watts is nothing. As a result, it takes a long time to dry hair with the Infiniti Pro. Even though it is a great tool, we’d recommend using it on damp or almost dry hair as opposed to straight-out-of-the-shower wet hair. While we do appreciate the option of two heat settings and one cool, we can’t think of a use for the lower powered heat setting. It is suitable, perhaps, for a child’s hair but is much too weak to be of use for an adult. Lower heat setting is not functional. We consider the Helen of Troy Hot Tangle Free Hot Air Brush to be a great product for those on a budget, although it isn’t perfect. 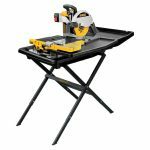 Available at the $29 mark, it is great in certain scenarios but is not going to work for everyone. It is of lower wattage than competitive products meaning other hot air brushes will be more effective at drying thick or long hair. But if your hair is of the right type and you are looking for an affordable product to use as a finishing styler, then this one might be perfect for you. The Helen of Troy has some nice features. The handle and the barrel are narrower than the other products we’ve reviewed. The smaller ½” barrel is nice for shorter hair since there is less to grip, and the smaller ¾” handle works better for average size hands. The barrel itself can also be removed for easy cleaning, which is appreciated. The manufacturer refers to the handle as a ‘soft-grip textured handle’, and we agree they did a good job making it comfortable. It has nice feel to it. The bristles themselves are plastic. Plastic bristles are a definite preference for some people so this will score points in their eyes. That said, they will also be a deal-breaker for folks who don’t like plastic brushes. The Helen of Troy offers two heat settings and also comes equipped with an extra long, 8-foot swivel cord. This means as you rotate your wrist, the cord also rotates so it doesn’t get tangled. This is a very handy feature. It also has an auto shut-off mechanism in case the brush gets overheated. This is good for the safety-conscious. It does kind of beg the question as to why the manufacturers made a brush prone to overheating but we’ll give them the benefit of the doubt. The barrel of the brush also rotates with the push of the ‘curl release’ button. The main purpose of this button is to untwist your hair from around the barrel after you’ve curled and dried it. It does not work the same way as the Infiniti Pro rotating brush (our best brush for the money). As reviewed earlier, you can continuously rotate and dry your hair with the Inifiniti Pro but the Helen of Troy is not designed this way. That said, the Helen of Troy is a great finishing brush to add body and curl to your hair. A main weakness of the Helen of Troy is that it is very underpowered (only 250 watts) to actually dry hair. It may work for very fine hair but to dry a full head of medium or long hair would take too long. Its best use is as a finishing brush after hair has been dried completely or almost all the way through. It gives great volume, nice curls and helps make hair smooth and sleek but it is not effective at drying hair. As long as users go in with this understanding, they likely won’t be disappointed. As mentioned earlier, the hard plastic bristles are not for everyone. Similar to hair brush preferences, some people just don’t like plastic bristles. Further, depending on your hair type, it may get tangled up in the brush and some even found the bristles painful on their scalps. We also found more complaints about tangling with the Helen of Troy than the other hot air brushes we review here. Some even had to cut their hair to untangle it (ouch!). Further, the release button is hard to use and not intuitive to many. The quality of the Helen of Troy can be hit and miss. Some complained that their units suddenly stop working or that they shut off randomly without overheating. Perhaps the auto shut-off is too sensitive? Others complained that the brush stopped heating entirely. Overall we think the Helen of Troy is the best hot air brush for the money as a finishing and styling tool. You just shouldn’t expect it to completely dry your hair. Not powerful enough to dry hair. One reality we came across in our research is that many consumers found their hot air brushes underpowered to dry hair in a timely fashion. Considering that in most cases, you’ll wrap your hair directly around the hot air brush, the max wattage must be less than what you’d find in a blow dryer. Otherwise, you’d absolutely fry your hair. A hair dryer can afford to be more powerful because the brush you are using with it is separate from the hair dryer itself. We’ve all encountered that ‘burning hair smell’ when our hair is pressed to close to the mouth of our powerful hair dryers. Imagine your hot air brush functioned with the same wattage? It would result in a big problem. So just be mindful of the fact that a hot air brush isn’t going to produce as much ‘wind’ as your blow dryer. It simply can’t. 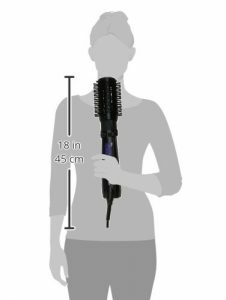 As we’ve mentioned several times throughout this review, if your hair is long and/or thick, or if you find your hot air brush takes TOO long to dry your hair, you should blow dry it at least partially first and use your hot air brush as a finishing tool. Considering that a hot air brush is a product that you are purchasing to make your life easier and enhance your look, it is important to choose one that will fit your needs. After all, once purchased, you’ll use your hot air brush often. The last thing you want is for it not to function the way you’d hoped or for it not to last. For folks on a limited budget, the Helen of Troy is the one we recommend; however, if it is possible to stretch the budget to afford something of a little better quality, you won’t be disappointed. The John Frieda and Infiniti Pro each represent an upgrade in the quality department. Drying and styling hair is sometimes a necessity that we want to get through to get to work, go our for the night, or just to tame unruly hair but a well-designed, high quality hot air brush can make it easier and less time-consuming and produce amazing results!